Flexibility for $280. The Flex 6 11 tries to be both an inexpensive Windows tablet and a laptop all at once. It does the job decently enough for a Celeron-based system, but the subpar display leaves a lot to be desired even at this low price range. 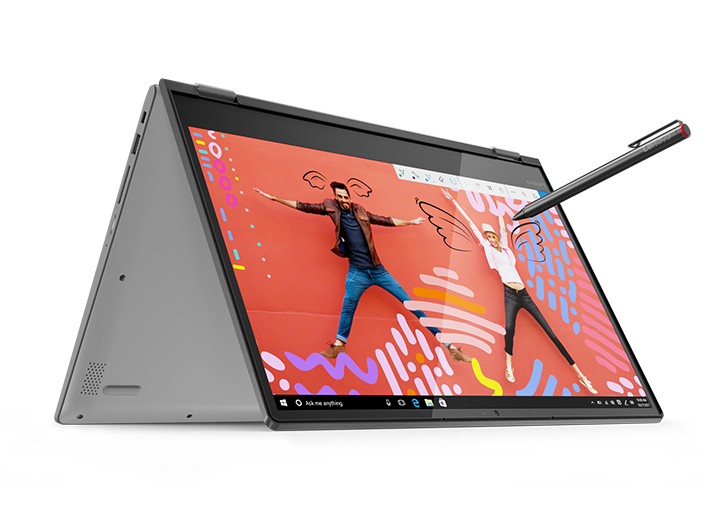 The Lenovo Flex 6 11″ is a portable convertible that is lightweight and compact with decent battery life and semi-acceptable performance for basic computing tasks on the go. To be totally honest though, unless you absolutely need Windows 10, I’d go with a similarly priced Chromebook as you’ll get much better performance with similar specifications for basic tasks like word processing and web browsing. The Lenovo Flex cuts some corners but ultimately delivers as an affordable combination laptop and tablet, if you keep expectations in check. Still, I have to recommend buying that higher end model for an extra $57. The added processing power and RAM will open up a ton of possibilities, and you'll just have a better overall experience. A low-resolution display and a plastic chassis detract from the Lenovo Flex 6 11, an otherwise well-rounded budget 2-in-1 convertible laptop. At the end of the day, the Flex 6 11 is an excellent entry-point computer for younger children or older persons who have never used a Windows 10 device before. The build and design are simple but still have a premium feel, and the display is excellent for multi-media consumption. The processor on board also makes the device perfect for casual web browsing, and the extended battery life makes it excellent for watching movies and TV shows. 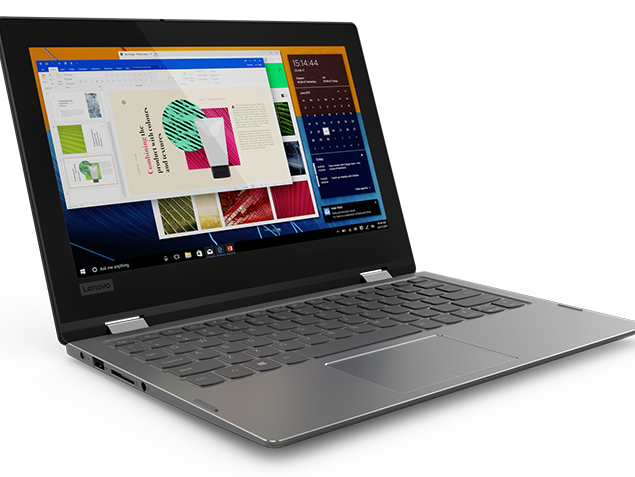 You can buy the Flex 6 11 as we had it configured here from Lenovo for $329. The Lenovo Flex 6 11 is a powerful and speedy budget laptop with stellar battery life, but its display could be better. Cheaper alternative. For those seeking reasonable performance and convertible flexibility but unwilling to spend the big bucks on category leaders, Lenovo's $800 Flex 6 14—equipped with its 8th-gen Core i5, MX130 GPU, and NVMe SSD—might be just the ticket. And it's quite a convertible, with a quad-core Core i5 processor, a 2GB dedicated GPU, 8GB RAM, an included pen, and the convertible form factor. Truthfully, if this doesn't meet your needs at its price point, then you're going to need to spend more money on your new PC. Sure, it's amazing that you can now snag an ultraportable 2-in-1 with a quad-core Intel CPU and discrete GPU for just $800, but the Lenovo Flex 6 14's dim screen and disappointing graphics performance count as major drawbacks. The Flex 6, is premium looking and feeling laptop that won’t break the bank. I would presonally recommend this laptop as a the transitional workhorse for anyone either sending their child off to college or for someone who does creative work in and outside of an office. The Lenovo Flex 6 is a speedy, well-designed convertible laptop for a reasonable price. Intel UHD Graphics 600: Integrated low-end graphics adapter with DirectX 12 support, which can be found in some ULV SoCs from the Gemini Lake series. Compared to the HD Graphics 500, the 600 offers improved display outputs. Compared to the faster UHD Graphics 605, the 600 offers less shaders at lower clock speeds.With these GPUs you are able to play modern and demanding games fluently at medium detail settings and HD resolution. NVIDIA GeForce MX130: Mid-range graphics card for mobiles based on the Maxwell architecture. Renamed GeForce 940MX.» Further information can be found in our Comparison of Mobile Graphics Cards and the corresponding Benchmark List. 8250U: Kaby-Lake-Refresh based low power quad-core processor. The four cores are clocked between 1.6 and 3.4 GHz (Turbo Boost) and support HyperThreading. The integrated GPU is clocked between 300 and 1,100 MHz. The SoC is manufactured in a 14nm+ FinFET process. 77.36%: This rating is not convincing. The laptop is evaluated below average, this is not really a recommendation for purchase.» Further information can be found in our Notebook Purchase Guide.